Get out of your comfort zone: A book for the terrified. 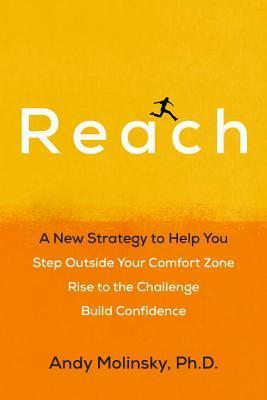 If like me, you feel discouraged rather than inspired when people say “Just take that leap!”, you will love this book. Not because it help you find excuses to stay where you are, but because it provides evidences that things are a little more complicated than “just taking that leap”. In this book, Andy Molinsky help us normalize our reactions. He explains why it’s so hard to act outside our comfort zone and why it is so easy to avoid it. Seeing the problem in a new light really help to develop the courage to act differently. As Richard Hackman says about the previous book from the same author, “[Andy Molinsky] has an extraordinary ability to write engaging examples and then draw from then the lessons to be learned.” That’s totally true. You’ll hear from managers, actors, students, moms, comics, politicians, and so many other people. Different stories, but always the same problem. On a negative note, these examples help the book reach an acceptable number of pages to the detriment of some redundancies, but this does not diminish the pleasure of reading this book.